It is the driest place on the planet and – usually – one of the calmest. But when Geoff Sims flew into a remote site in the heart of Antarctica called Ridge A, the wind was howling. 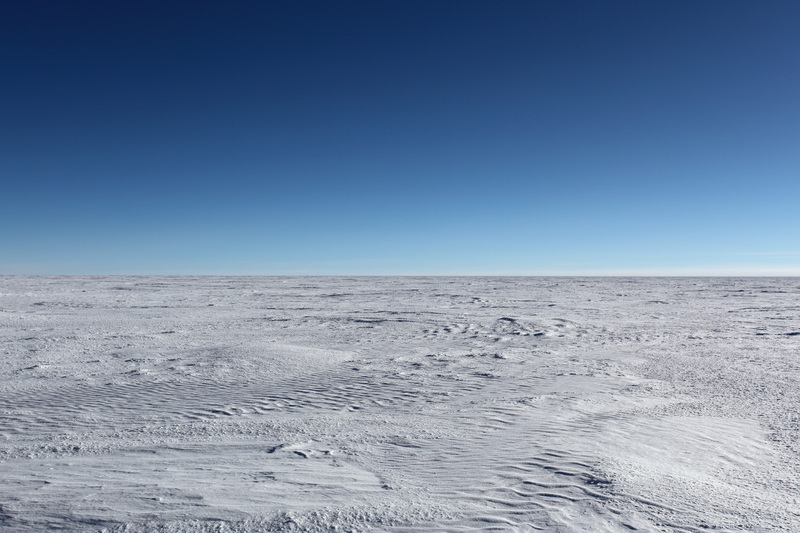 Along with other researchers, including UNSW’s Emeritus Professor John Storey, Sims quickly had to set up tents for protection, as well as dismantle some of the equipment at the isolated astronomical site, so it could be sent back on the plane to the South Pole, almost 1000 kilometres away. It was a challenge. “We had these massive gloves on, which were great, but you can’t undo a screw or a bolt or connect a wire. So you have to take your gloves off for a few minutes to do some work inside the tent, and then your hands get really cold,” he says. He was initially scheduled to spend two nights camping out at Ridge A, helping service the autonomous PLATO-R observatory, which had been installed a year before by an Australian and American team, led by UNSW’s Professor Michael Ashley, and Dr Craig Kusela of the University of Arizona. In the end, due to transport delays, the 30-year old spent six days and five nights on the extremely cold plateau, which is at an elevation of over 4000 metres. “It really is a beautiful place. But it’s very difficult to sleep there, partly because of the cold and partly because of the altitude and partly because you have bright sunlight shining into the tent 24 hours a day,” he says. A keen maths and physics student at school, it was his passion for photography that drew him towards studying the stars: “I was photographing the moon and the night sky for my HSC and that developed into an interest in astronomy,” he says. For his PhD, Sims has analysed the frequency and brightness of the Aurora Australis, as well as levels of water vapour in the atmosphere, to determine their possible impacts on astronomical observations at various Antarctic locations. Water vapour strongly absorbs terahertz radiation from space, but the dryness of Ridge A means this frequency of light can reach the ground telescope there, and can be used to study the life cycle of gas, dust and stars in the Milky Way. 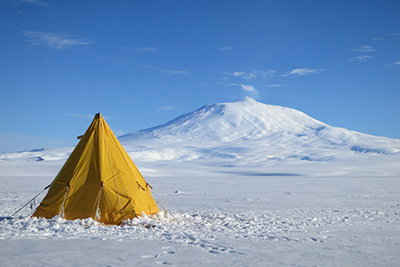 During the trip, Sims and Storey kept a daily blog on the physics school website where they posted many photographs of their experiences, including spending Christmas and New Year’s Eve at the US coastal station of McMurdo.